This home was located on Lowell Road, just north of the intersection with Pelham Road and alongside Blodgett Cemetery. From 1895 until about 1912 it was the home of Jennie May (Ellis) and Eugene Barker and their family. Raised on a farm, Eugene moved to Nashua about 1891, most likely for employment. He and Jennie were married in Nashua and lived there until after the birth of their second child. Because of the availability of the electric trolley to/from Nashua and down Lowell Road, he was able to move his family to the country and commute to work on public transportation! Their third child was born in Hudson. In this photo the careful observer can see the tracks for the electric trolley in front of their house; and, the wall and tombstones of the adjacent Blodgett Cemetery. By 1912 the property was sold to Harry J. Connell, Hudson’s first permanent police officer. Connell resided here, selling to William O’Neal in 1920. This house remained a residence for various families until 1983 when Countryside Realty was established. For several years it remained as a real estate office. A few years ago, about 2004, the building was razed and the area reconfigured into an industrial building with several units. It is currently owned by Hudson Plaza, LLC. 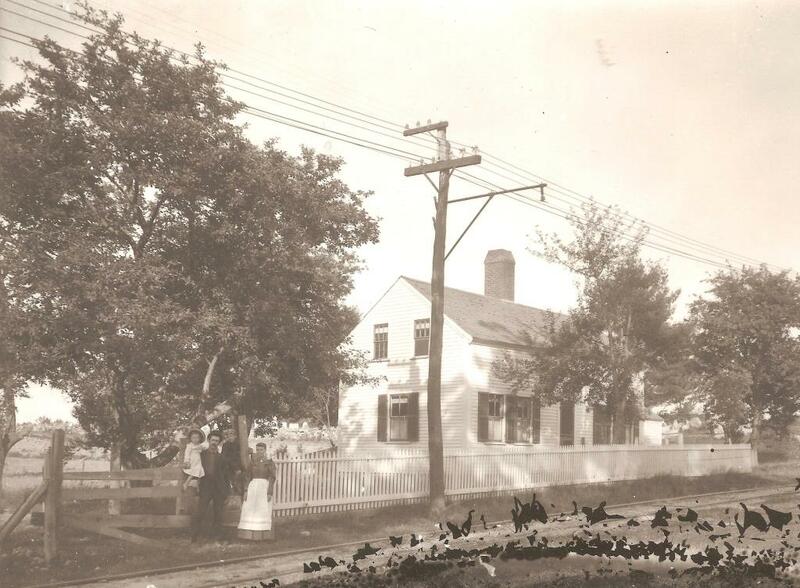 Photo donated to the Historical Society by the Nashua Historical Society and now a part of our collection. By Ruth M Parker in Lowell Road on April 30, 2015 .